The average cost of a car payment has reached $479, which is a significant chunk of change. Unfortunately, in many places in Canada, a car is simply not optional. Due to the cold winters in Winnipeg and the relatively undeveloped public transit system, most people have to have a vehicle – which can be quite expensive. This can lead to some bad situations. For example, if you have recently lost your job or taken a pay cut, you may be unable to make your car payment for the month. It happens. Wondering what will happen to you when you miss your payment? Here’s what you need to know. First, your lender will try to contact you via email, mail, or telephone when you miss your car payment. They will warn you about what may happen when you miss your payments, or continue to miss your payments. They will likely also give you a certain number of days in which you can make your car payment to avoid penalties. This is quite common if it’s your first time missing a car payment. It’s difficult to say exactly by how much your credit score will drop due to a missed payment. This depends on the length of your credit history and a number of other factors. However, if you have a good FICO credit score of 780+, a single missed payment can cause a drop of 80-110 points or more – and it can take months to rebuild and recover from this. You will typically be charged a late fee on your car payment, though this may be waived if you have never missed a payment before. In addition, interest will continue to build on the unpaid principal of your loan, which may increase the total cost of your loan in the long run. If you do make a timely payment, your lender may be willing to waive these fees, as long as you do not keep missing payments. Usually, most lenders will not repossess a car until it has been delinquent (no payments have been made) for 60-90 days. However, this is not the case with every lender. 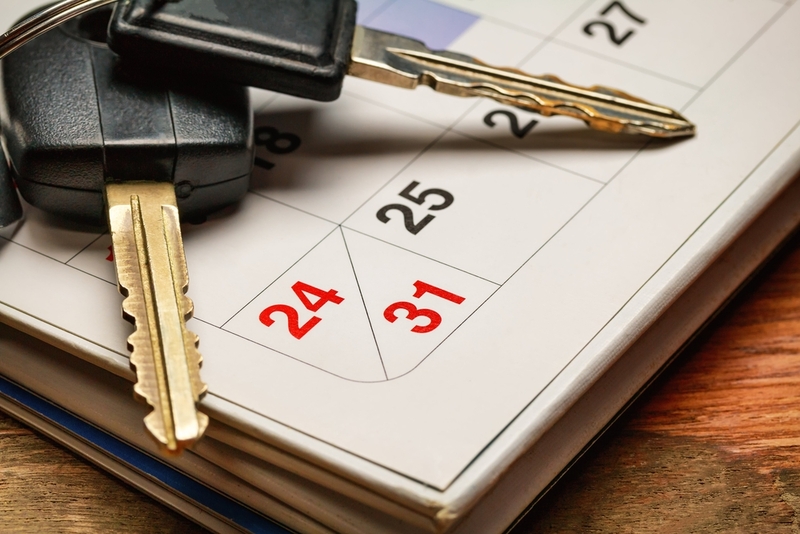 Some lenders – particularly those who specialize in lending to individuals with lower credit scores – may attempt to repossess your vehicle within a few days of a missed payment. If your car is repossessed, don’t panic. You have a few options to get it back. You can reinstate your loan contract by making the missing payments. You could also negotiate with the lender to try to get better terms, or create a different payment plan. If a “reasonable time” passes without you attempting to recover your vehicle or pay your loan, the car will be auctioned off to the public. The proceeds from this sale will be used to pay off your loan, and then the entire process is over. It is possible to bid on your own car, but this is typically a far inferior alternative to simply paying the amount owed to your lender, or negotiating the recovery of your vehicle on your own. Make sure that your car does not make it to this stage, if you do end up having it repossessed. Need A Lower Car Payment? Try Ride Time! If you can’t afford your high monthly car payment, there’s a good solution – sell or trade-in your vehicle to Ride Time, and find a reasonably-priced used car! By doing so, you can avoid car repossession, and decrease the amount of money you have to spend on your car each month. Interested? Take a look at a few of our cars now, and see how much you can save by choosing Ride Time. We work with customers of all credit scores – so don’t wait. Get started today!